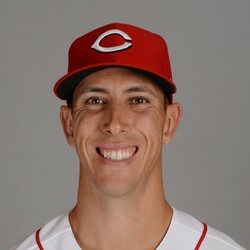 Michael Lorenzen started for the Reds on Tuesday, compiling four innings pitched while only surrendering one hit. He struck out three and walked one. Lorenzen did what the Reds asked him to do on Tuesday, as he shut down the Milwaukee lineup throughout the duration of his outing. The four innings were the most he's pitched in a start during the entire month of September. Nevertheless, Tuesday won't change the fact that he holds zero fantasy value.